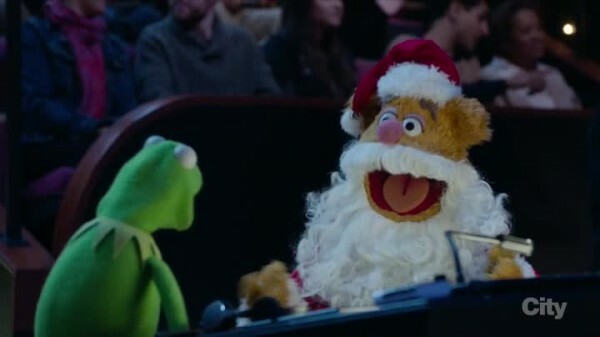 The Muppets and Christmas are like peanut butter and chocolate, hence the wide variety of Muppet Christmas specials and films over the years. 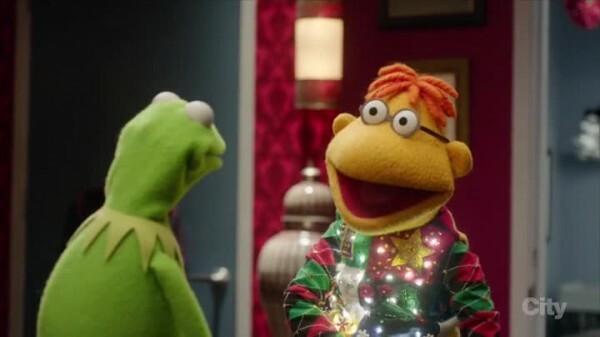 So it is only natural that we get an entry in the television series, fittingly involving the Muppets producing a Christmas special. 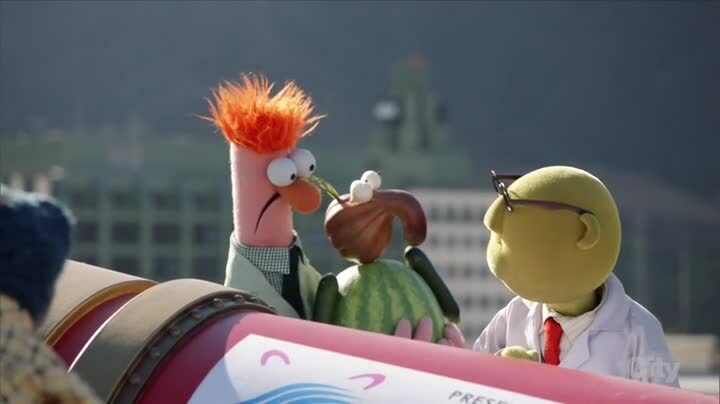 Of course, things begin to go wrong as the Muppets are always situated on the rim of disaster. The episode manages to both have some of the best relationship writing in a season with very uneven relationship handling, as well as some of the regular worst relationship writing. 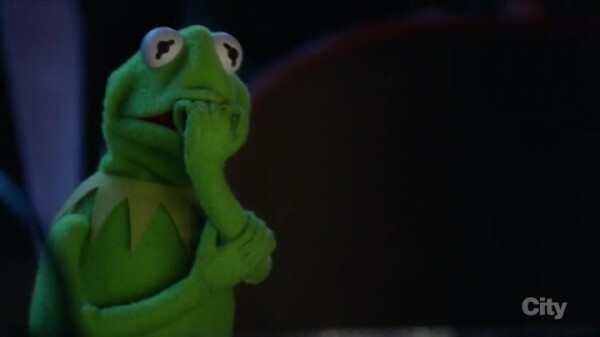 We get in informative and heartfelt discussion of Kermit and Miss Piggy’s past relationship, but we also get Fozzie having drama with his girlfriend despite Riki Lindhome not appearing in this episode. The Christmas Show has two disasters happening at once, first Mindy Kaling is their special guest and is supposed to perform a song, except her singing makes those singing dogs cds sound talented. 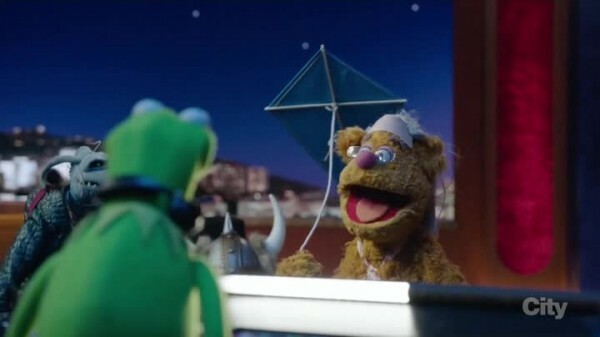 The more important disaster is Fozzie’s girlfriend Becky broke up with him that morning, which is a big problem as he is being Santa Bear, and no one wants a Santa who is crying and wailing in front of children. 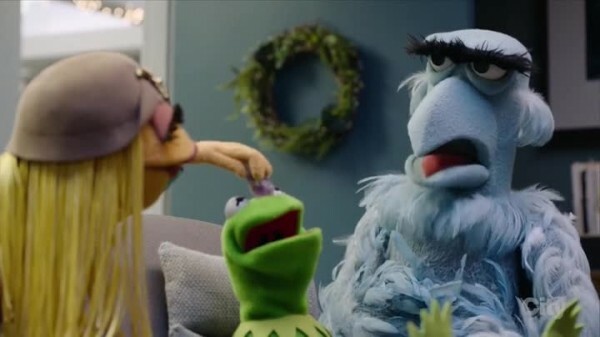 Before you can begin complaining about sadsack Muppets, Sam the Eagle is seen putting up mistletoe in a strategic spot to try to sneak a kiss from Janice. We know that won’t work out the way it is intended, so let’s focus on the main stories. While the last episode was a high note, this episode turns into one of the worst of the season as it jumps back the quality and just ends up disappointing. 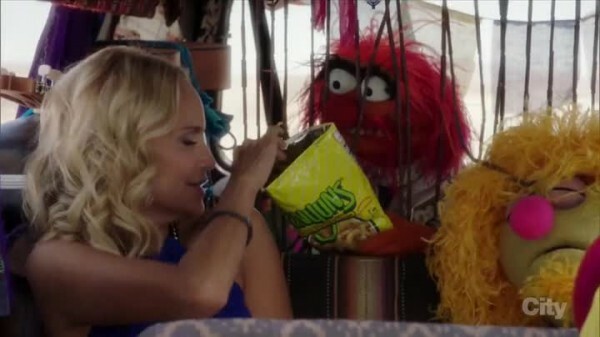 Gonzo acts out of character while Scooter gets some development in being more brave and bold that he should have gotten before last week’s episode when he actually did something brave and bold, dating Chelsea Handler. 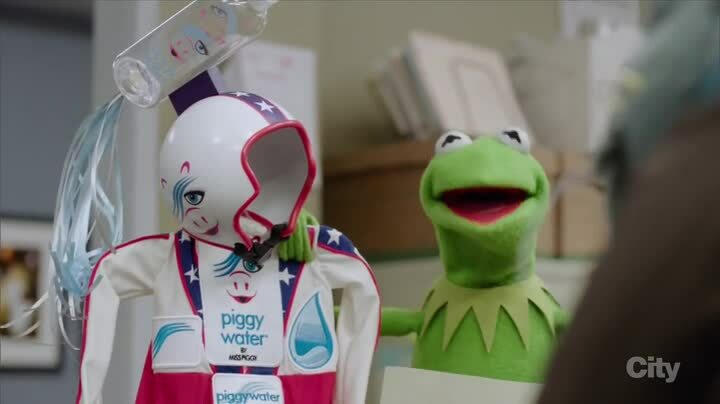 Luckily, the day is saved by the sidegag stories, from the ridiculousness of Miss Piggy’s special branded water – Piggy Water – that comes complete with a lipstick mark on the bottle rim and far more calories than you’d expect from water. Joseph Gordon-Levitt is the special guest on Miss Piggy’s show, and him and her have a duet while chaos reigns backstage, causing a giant moon set piece to swing wildly on stage. The set piece also snags Gonzo, who is flung around on the roof out of control until he crashes. 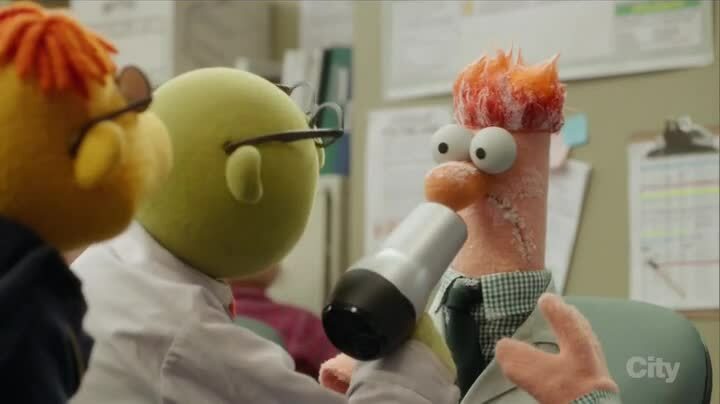 Normally, Gonzo would be up for something like that, thinking it was awesome and wanting to try it again. Instead, Gonzo starts moping about the stunt that got away, and how he might die before doing a dangerous stunt that might kill him because he was too afraid. 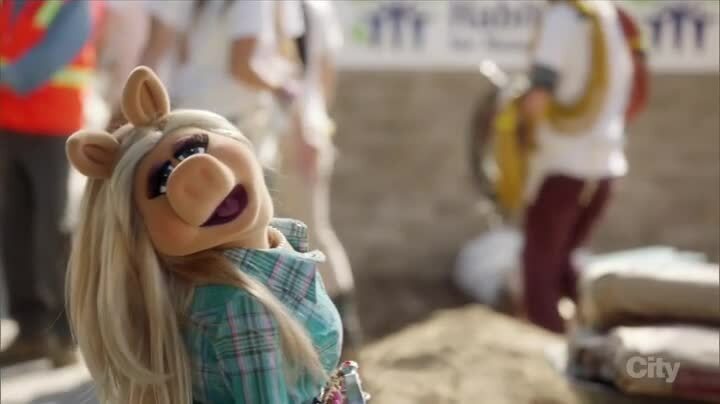 Kermit can help, and convinces Miss Piggy (who is getting a new ridiculous nose muscle electric shock beauty treatment) to have Piggy Water sponsor Gonzo’s stunt and do it on the show. 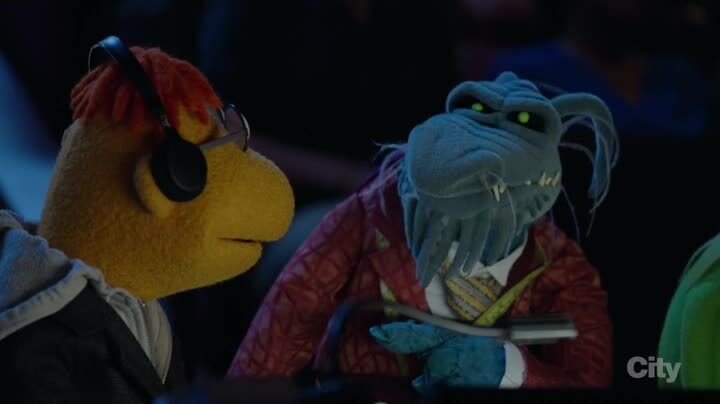 There are a few stipulations, and Gonzo is now officially The Great Gonzo Brought To You By Piggy Water, and must answer the phone with that name, and wear a suit with Piggy Water branding plastered all over it. The Muppets returns with another episode about Muppets having relationship issues, but for once it isn’t because there are a bunch of sadsack Muppets being sad sacks full of sad sacks. In fact, Scooter finds exactly what he wants for a relationship, except that is just too much for him to handle! Scooter is enthralled by Chelsea Handler, which is handy because she’s a guest on Miss Piggy’s show that night. She even seems to be looking for a nice dork like him. Uncle Deadly points out Scooter would just be a boy toy, and I’m not sure Scooter seems to understand what that term means. This gives Scooter the confidence to go ask Chelsea out on a date, but he manages to cause a big mess while trying to act cool and calm while doing so. Luckily for him, Chelsea is cool with dating him, anyway. Fozzie is planning to ask his girlfriend Becky to move in with him after dating for a whole 12 weeks. This makes Kermit nervous, as he thinks Fozzie is moving too fast and doesn’t know Becky that well. 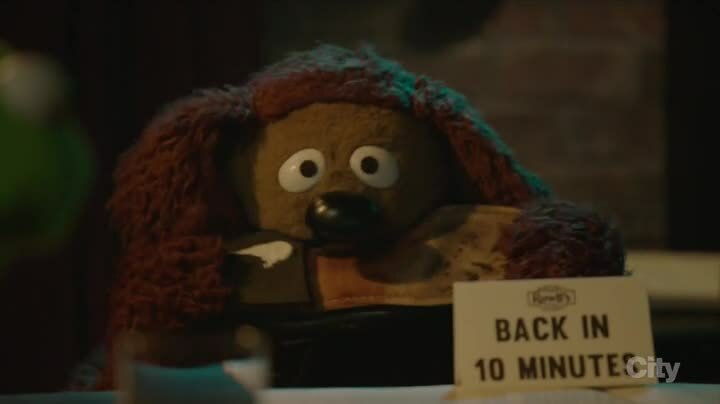 He suggests they double date at trivia night at Rowlf’s, a contest Becky always wins. 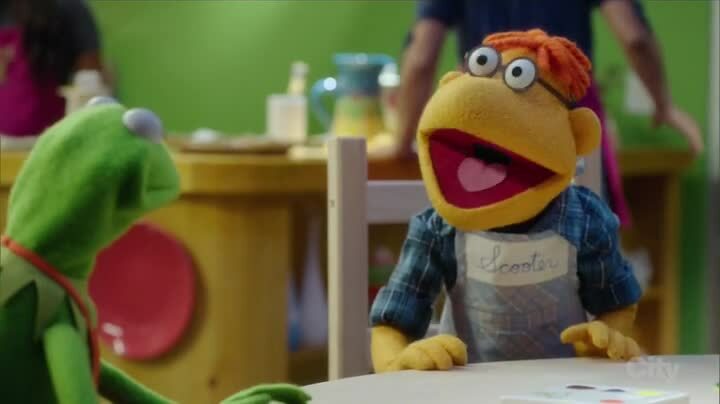 Kermit’s attempts to get Becky to reveal any hidden secrets through casual conversation backfires into finding lots of bad things about his own girlfriend, Denise. 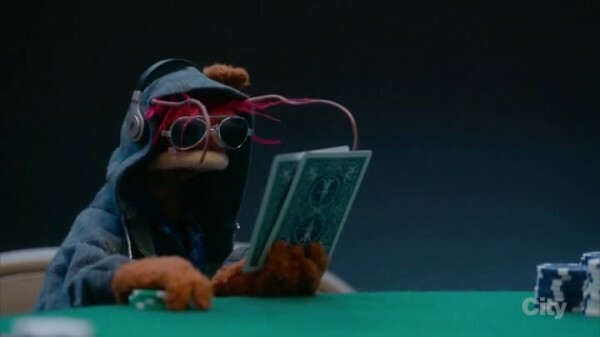 But Kermit also witnesses Becky looking at her phone while hiding under the table, and is convinced she is cheating in the trivia contest. He knows he can’t confront her right now, but needs to expose her to save his friend from someone who is dishonest. Kermit’s new girlfriend Denise finally reappears on the show, and she is a big Kristin Chenoweth fan, which is convenient because Chenoweth is a guest on the show today (Uncle Deadly is a bigger fan, though!) 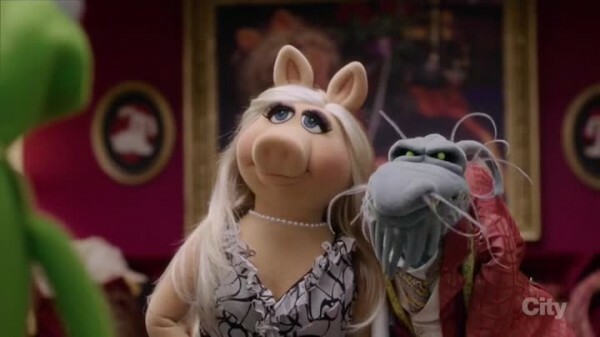 Denise charges over and introduces herself despite Miss Piggy being right next to Chenoweth (Denise introducing herself several times because she’s so nervous) Miss Piggy is annoyed as you might expect, and Kristin realizes who Denise is after she leaves. Denise’s birthday is tomorrow and Kermit has no idea what to get her (he wasn’t going to get her anything, because she said not to get her anything, and is advised by everybody present about that being wrong!) Panic ensues because he’s bad at gift-giving. 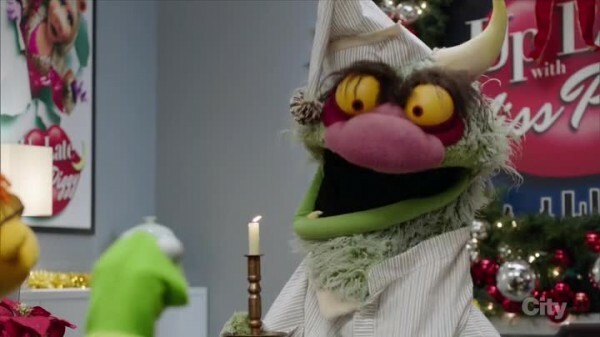 Everyone’s suggestions for gifts are expectedly terrible, not only are most of the Muppet characters hopelessly single, but now many of them have their own personal romantic failings on the show, so they are extra hopeless. Scooter takes Kermit to one of those paint your own ceramics stores so he can make a gift himself. Scooter is very very very familiar with the store, going there a lot, especially when his mom is seeing her boyfriend. Scooter even has his own custom smock with his name on it. Kermit paints his first date with Denise, but after some criticism of his art talent from Scooter, it’s tossed in the whoopsie bin.